I teach and research in the fields of aquatic biogeochemistry, carbon sequestration and biodiversity. Current research is focussed on optimising drinking water treatment processes, using novel constructed wetland and impoundment systems to reduce eutrophication in industrial and rare habitat applications, biofuel production and biodiversity and carbon fluxes in mangrove ecosystems. I have work published in Nature, Nature Geoscience and other leading journals. I am currently the lead for Graduate Studies in Biological Sciences, and head an Aquatic Ecosystems research group. I am currently the lead for Graduate Studies in Biological Sciences, and head an Aquatic Ecosystems research group. 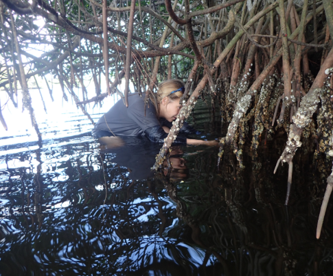 I convene modules on freshwater ecosystems, wetland ecosystem goods and services and a field trip to the mangroves of South West Florida (in collaboration with Florida Gulf Coast University). Additional carbon sequestration benefits of grassland diversity restoration. The interactive effects of elevated carbon dioxide and water table draw-down on carbon cycling in a Welsh ombrotrophic bog. Hydrological controls on dissolved organic carbon production and release from UK peatlands. Fenner, N, Freeman, C, Worrall, F, Baird, AJ (ed. ), Belyea, LR (ed. ), Xavier Comas, AS (ed.) & Slater, LD (ed.) 2009, Hydrological controls on dissolved organic carbon production and release from UK peatlands. in Carbon Cycling in Northern Peatlands. 2009 edn, American Geophysical Union. Impeded drainage stimulates extracellular phenol oxidase activity in riparian peat cores. Elevated CO2 effects on peatland plant community carbon dynamics and DOC production. Interactions between elevated CO2 and warming could amplify DOC exports from peatland catchments. Observations of a seasonally shifting thermal optimum in peatland carbon-cycling processes; implications for the global carbon cycle and soil enzyme methodologies. Hydrological effects on the diversity of phenolic degrading bacteria in a peatland: implications for carbon cycling. A regulatory role for phenol oxidase during decomposition in peatlands. Export of dissolved organic carbon from peatlands under elevated carbon dioxide levels. Export of organic carbon from peat soils. Molecular weight spectra of dissolved organic carbon in a rewetted Welsh peatland and possible implications for water quality.